Our collective memories are wiped clean by time. Some of this is because some events take precedence over others, some of this is because some ideas take precedence over others. Remember the time George W. Bush flipped off the camera? Of **course** not. Our minds would explode at the thought of remembering everything noteworthy that’s ever happened in history. 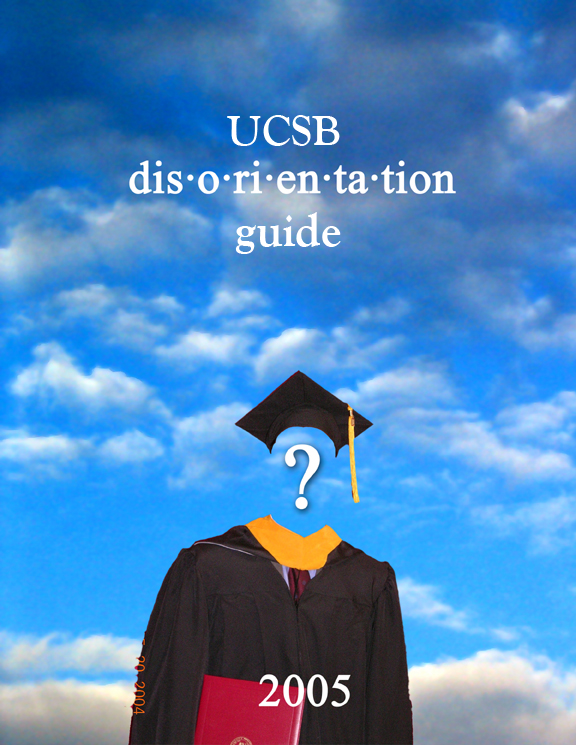 The UCSB dis·o·ri·en·ta·tion guide is here to remember for you.